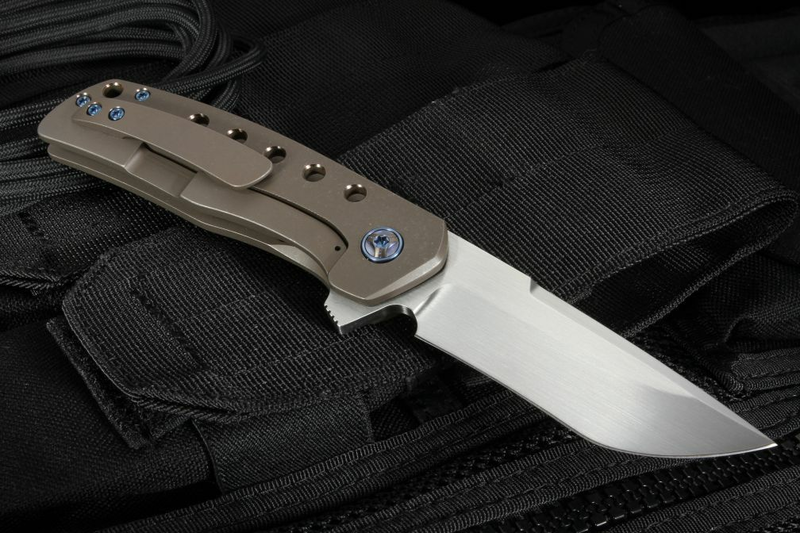 Enrique Pena custom Dingo flipper with a satin finished CPM 154 blade and anodized titanium handle. 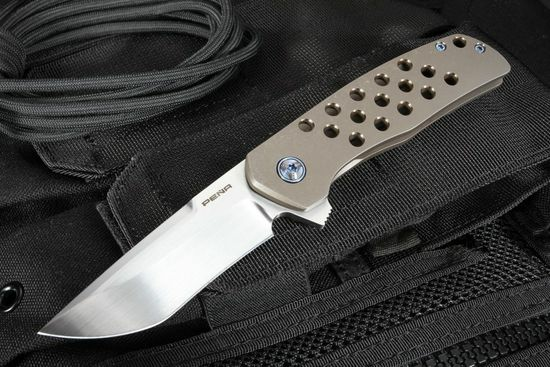 The stainless CPM 154 blade is hollow ground with a fine hand satin finish. 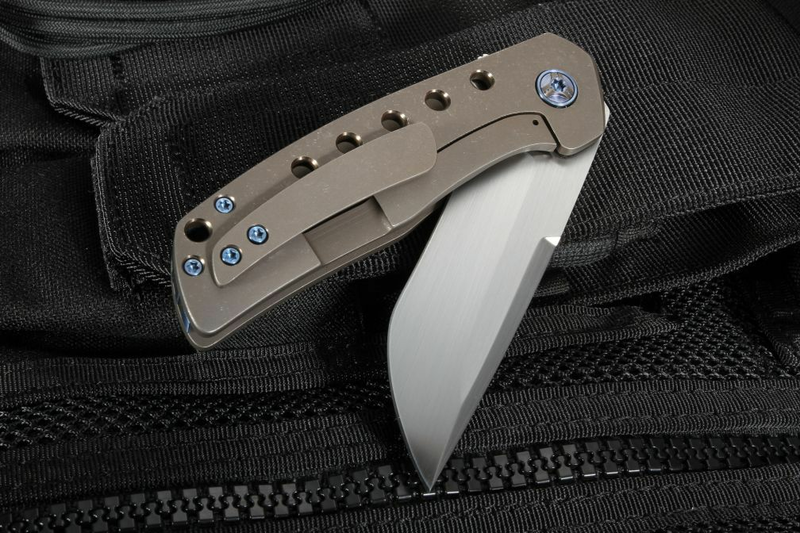 Jimping on the flipper.. Integral flipper for fast and efficient opening with either hand. Flipper serves as an index finger guard in the open position. 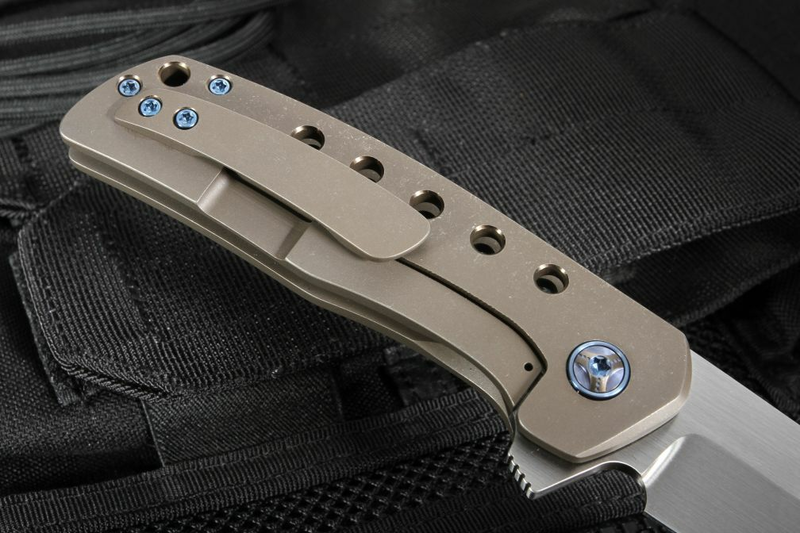 The handle is constructed of aerospace grade titanium with an anodized and stonewashed finish. Blued titanium screws match the blued titanium pivot. 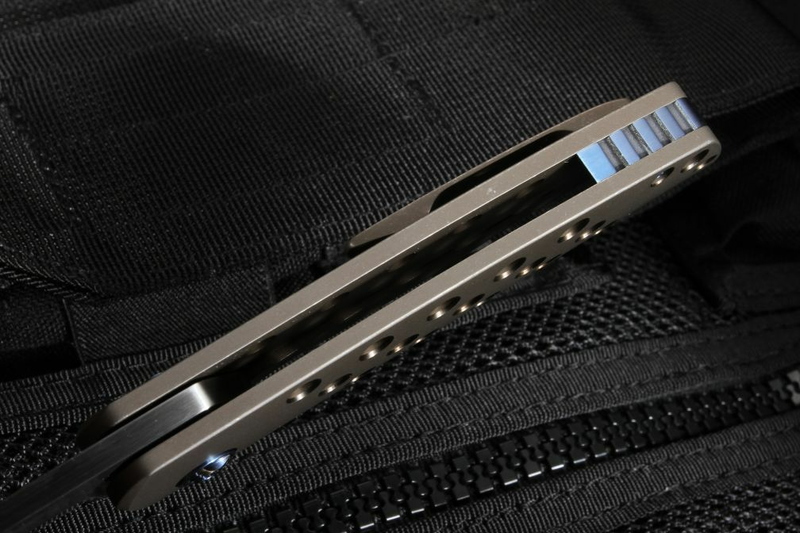 Blued titanium spacer has jimping for added grip and a touch of elegance. 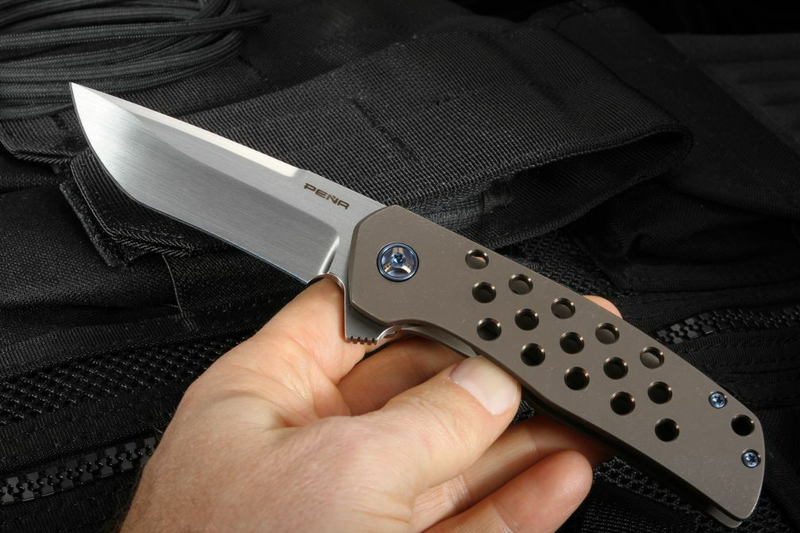 Smooth bearing pivot for fast and smooth opening action. 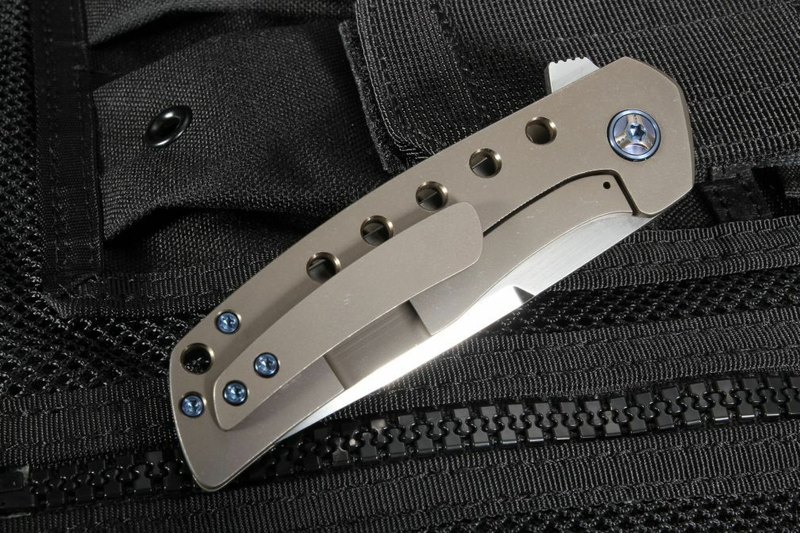 Custom titanium pocket clip is mounted tip up. Lanyard hole in the rear section of the handle. Solid frame lock design.